A lot has changed since I started this website in May 2013. From a humble blog it grew into a website with hundreds of readers daily. 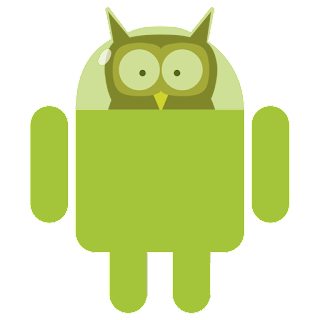 Kulíš Android now features blog entries, game reviews, Android game development tutorials and other resources for indie devs. I also created a Facebook page and Twitter account. Since Google+ was kind of forced on us (users in general), the blog has been partly migrated there as well. I'd like to thank everyone for their support in 2013. Here is what you can expect in the year 2014. If everything goes well, the books from the list above will be offerred here for free in the following months. I believe it should be around 3 free copies including source codes (if applicable) per book. If you are interested in any of them, follow me on Facebook, Google+ or by email so you don't miss the chance to get the book. The contest will always be limited to two weeks. The interest in the reviews grew a lot as well especially among the indie game programmers who want to be reviewed. I am getting tens of review requests monthly. The page views of the reviews grew too, but not as much. And that is the problem. If you want help, you should help the others, too. This is especially true in the indie game dev community. Read the reviews of the other games and play them. Even by simply installing the game and not uninstalling it for a month you are helping fellow devs a lot. Also learn from other games - it's one of the best ways to improve your own games. That's all. Now create some great games!